Book Of Days 2018 is a year long ‘art journal in community’ experience taught by your mistress of the misfits, Effy Wild, in three sessions that run from January 1 – April 1, May 1 – August 1, and September 1 – December 1 throughout 2018. 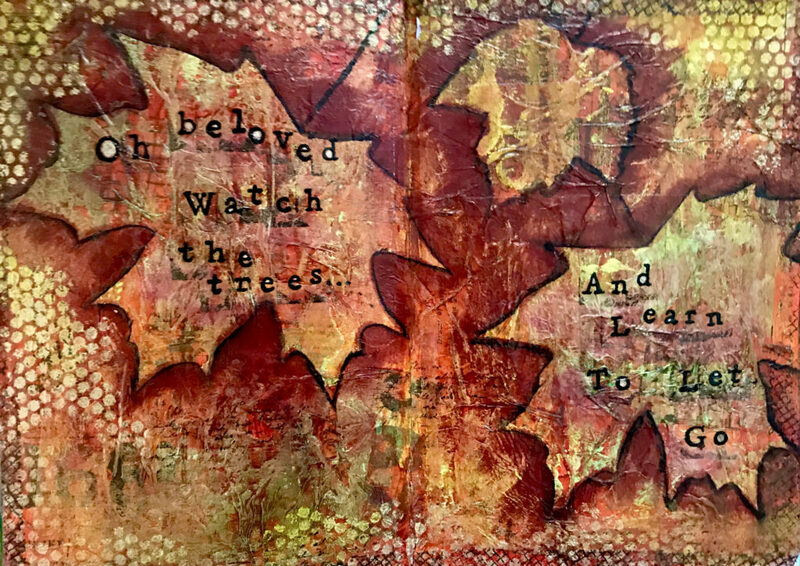 Each week, (except while we are on hiatus) you will find new content designed to inspire your own art journaling practice, as well as instruct you in mixed media art journaling techniques. This class will focus on discovering and ‘arting’ about the ordinary beauty inherent in our every day lives, as well as honing in on mindfulness & creative practices that are designed to increase our level of intimacy with ourselves. 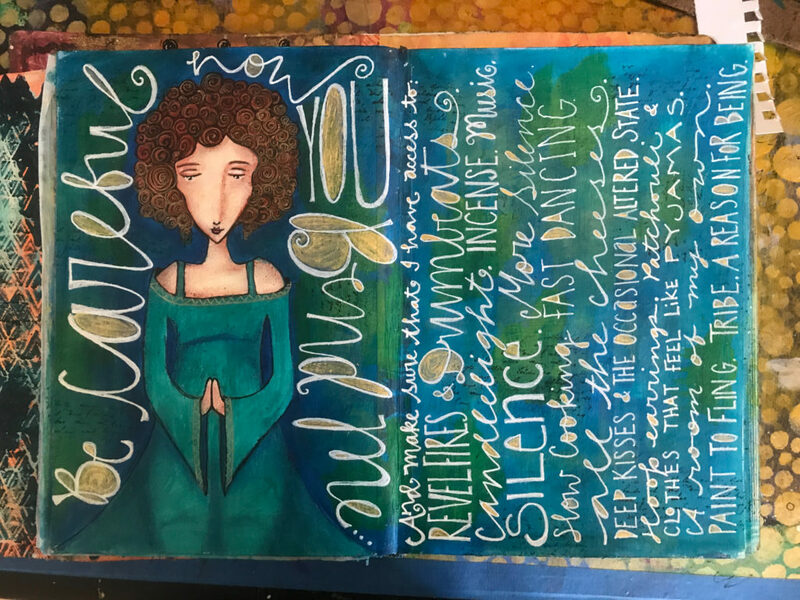 Self love, self care, and self inquiry are the focus of this year long journey, and we will explore all three through mixed media art journaling. 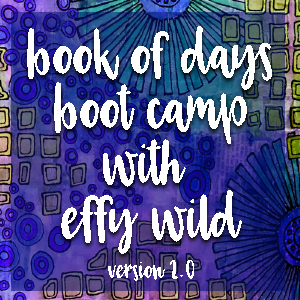 Book Of Days 2018 starts on December 31st, 2017, but you will receive instant access to Book Of Days Boot Camp Version 1.0, and Succulent Stacks to get you started and keep you busy while you wait. 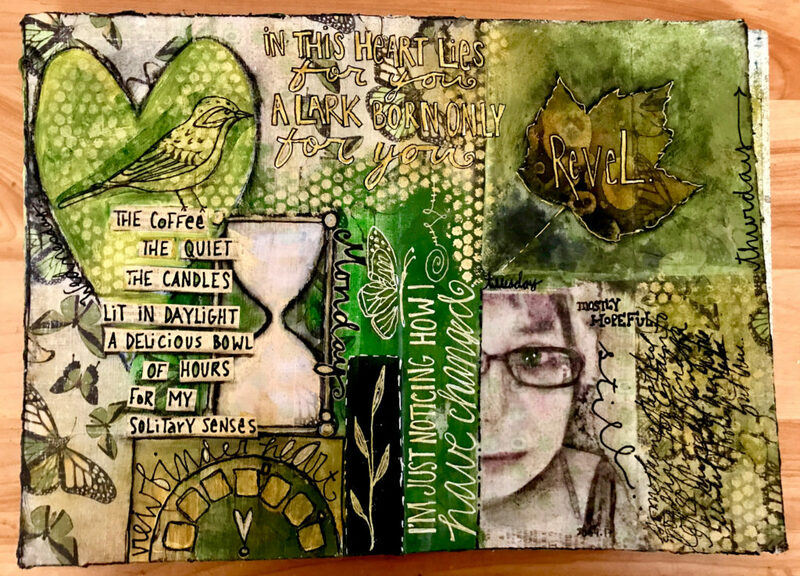 While Book Of Days is an ‘art journaling’ class, you can do most projects on whatever substrate you like, including canvas, wood panel, or loose watercolour paper. Effy is particular fond of working in hand bound books, and will teach you how to make one in this class, but you can also work in pre-made books (like the Strathmore Visual Journal, or Dylusions Journal), altered books, composition notebooks, etc.You also have unlimited, indefinite access, so you can do the lessons *whenever you want*. You are not bound to the teaching schedule *at all* and in fact, you are encouraged to use this class however you see fit. There is a BUNDLE available of BOD + Moonshine, and also a PAYMENT PLAN available. An example of a regular spread. This will be filmed and released over the course of the year, Book Of Days Boot Camp Version 2.0 will eventually replace Boot Camp Version 1.0 (which you will also have access to immediately upon purchase). You will be alerted via our class newsletter when new videos and PDFs have been released. Content will include working with tarot in the art journal, an intensive in the creation and use of a Sweet Trash Journal, several different book binding methods, faces boot camp, colour mixing boot camp, creating an art grimoire and using it to explore your mediums, and much, much more. Released throughout the year. 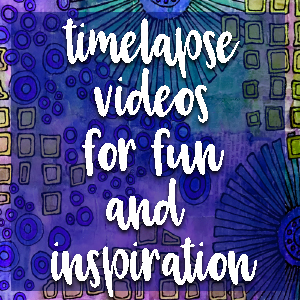 Every two weeks* you will receive a full length video tutorial of a ‘start to finish’ art journal spread with a spotlight on a particular technique (collage, adding texture, shading, etc. ), and healing modality (free writing, affirmations, life documentation, connecting with inner wisdom, etc.). New this year: The included step by step PDF with musings, supplies lists, instructions, and photos wiI includes links to the video review page where you can view or download that lesson’s videos. What does this mean? Download the PDF, and you have forever access to the videos, even if something terrible happens to my website. It also means that you can access the videos from your own desktop when you click the link, instead of having to log in here every time you want to view. Released every two weeks. 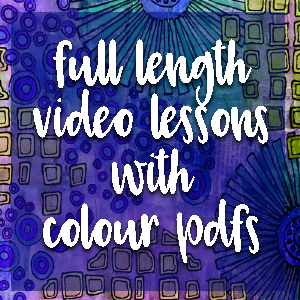 ** These lesson’s videos range in length from 1 hour to 3 depending on the subject matter. These weekly vlogs are meant to inspire your creative process, pass on things I’m learning, resources I’m loving, product tips, and whatever else comes up for me. 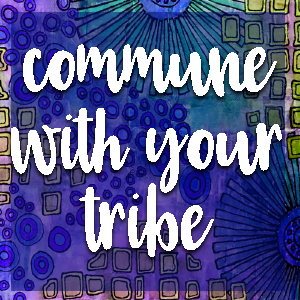 For teacher support & communing. The Facebook Group is closed to the public. I will be in the group daily looking at your art, answering your questions, and generally hanging out with you. 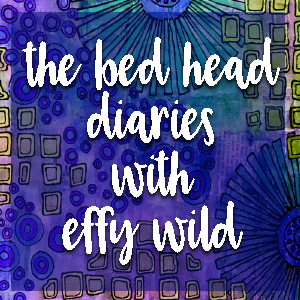 Members in the Facebook Group will also get occasional Facebook LIVE check ins, nudges to journal, access to a Q&A thread that will will tackle every Monday during the Bed Head Diaries, and more. You will also be eligible for membership in BODKin Cafe, the permanent alumni group for all students who’ve taken my classes, so even if you don’t complete BOD in 2018, you’ll have a place to connect with your peeps (and me!) and a place to share your work long after the class ends. Instant access upon purchasing the class. You will be granted indefinite access*, so you will be welcome to revisit the content as you wish throughout the years.You can put BOD on ‘pause’ if you like, and return to it whenever you are ready. You can save it up and do it all at once in a frenzy of creativity. You can dip in and out now and again with *no guilt, and no pressure*. An example of the kinds of spread we might do to honour or celebrate the seasons. All this for the EARLY BIRD PRICE of $99 until December 31st, at which point it goes up to $120. If you’d like to take both BOD2018 and Moonshine 2018 (my woo woo art journaling offering that emphasizes connecting with your inner wisdom and journaling with the phases of the moon), please check out the bundle here. *Indefinite access = as long as I’m teaching/managing this site. **Please note that despite the therapeutic value of art journaling, this is not art therapy, nor is it a good substitute for therapy. We will not be engaging heavy trauma in this class, and our group spaces are not designed as containers for the exploration of deep distress. ***Weekly content is released except during our hiatus months, which are April, September, and December of each year. These are integration periods where we work mostly on our own. 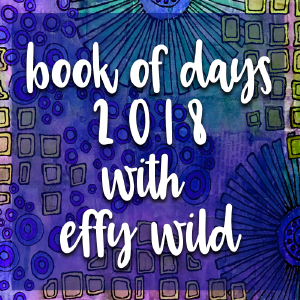 All content in Book Of Days 2018 ©Effy Wild 2018, all rights reserved unless otherwise noted. Do not make videos or tutorials inspired by my content. Do not share your password or any of the content with others. Do not copy my work to sell. Please commit to purchase with care, as I do not offer refunds.